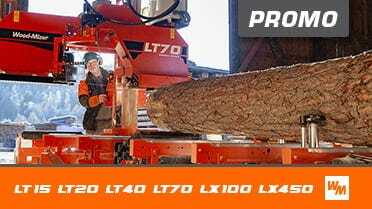 Sawmills cut more than wood, and at DesignIce, a Wood-Mizer LT15 Sawmill cuts ice in -5 degree temperatures year round. 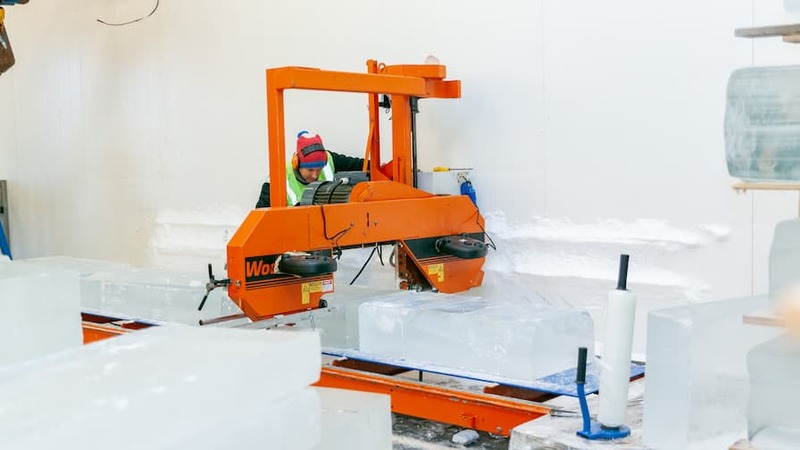 Thanks to the hit Disney movie Frozen, a whole new generation of children became aware of the traditional art of harvesting ice from frozen Scandinavian lakes. 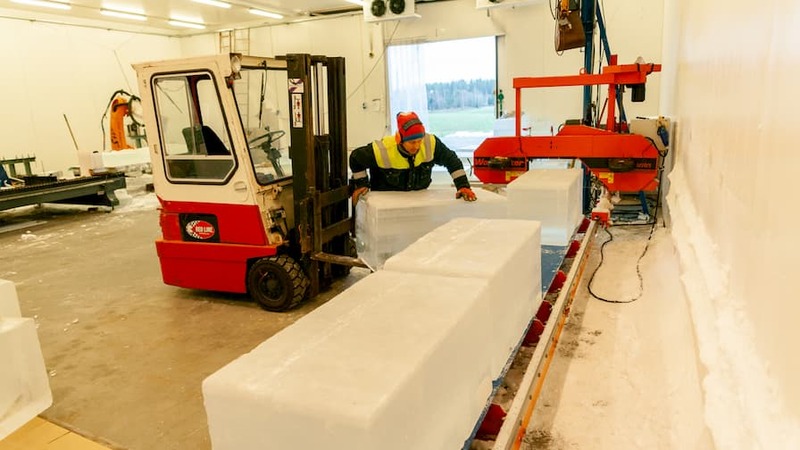 Their cold winters and many lakes made Norway a source of refrigerating ice blocks 150 years ago for Europe. 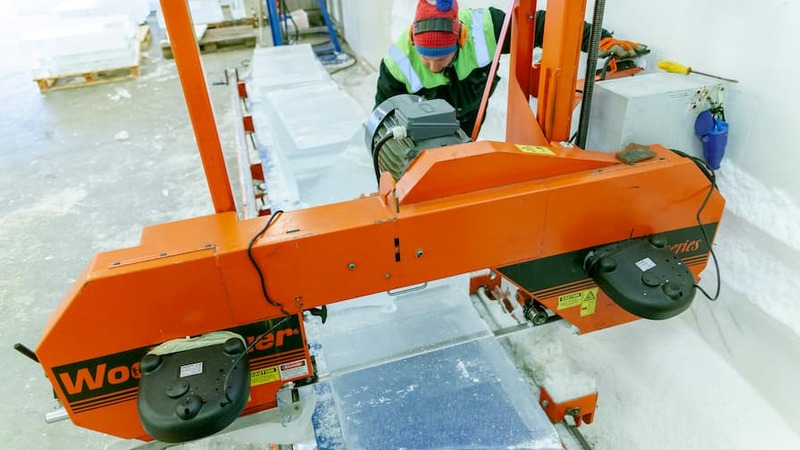 Although modern refrigeration has reduced the need for block ice, the industry of ice cutting is still alive and well for more specialized applications. 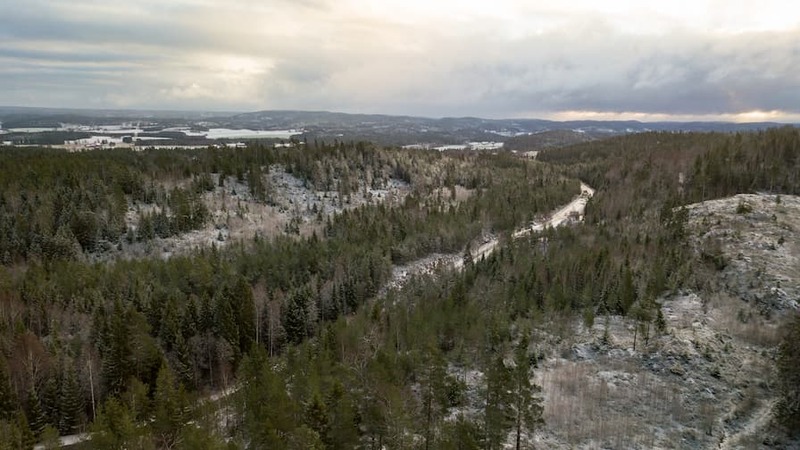 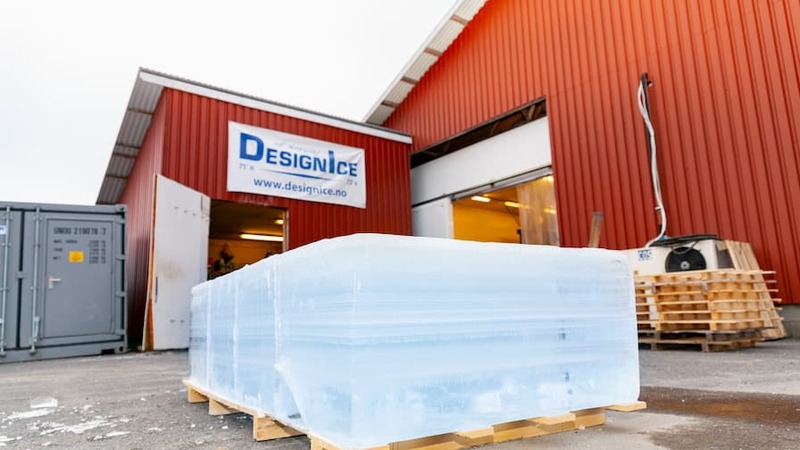 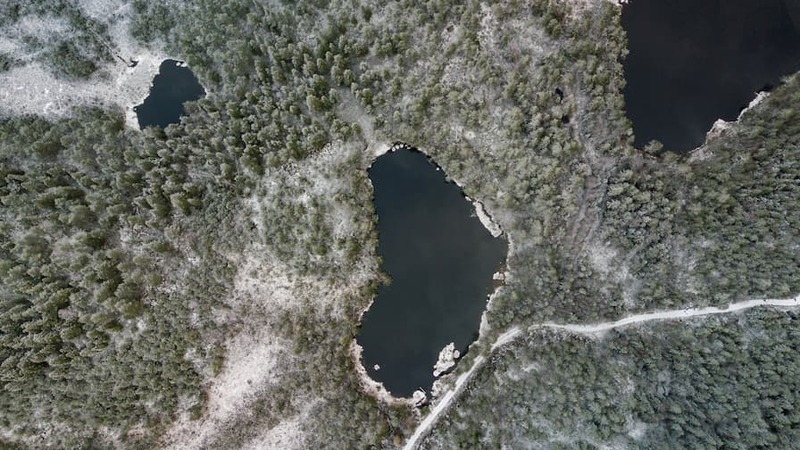 Thomas Orderud, owner and operator of DesignIce, started harvesting ice from a local lake in Southeastern Norway about 15 years ago. 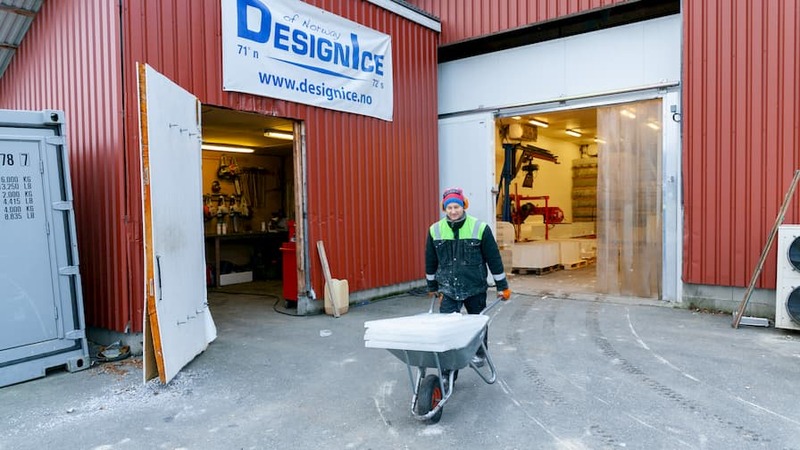 Today Thomas can supply “everything from ice cubes to ice hotels” from his frosty 400 square meter workshop. 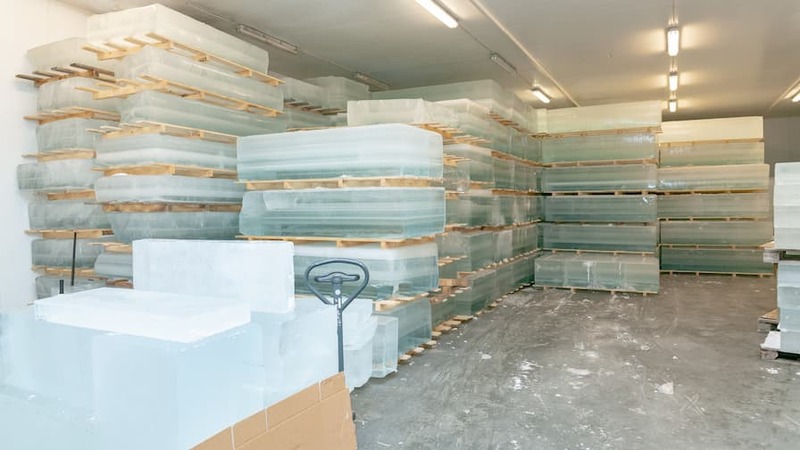 Even in the winter he keeps the temperature at a steady -5 degrees Celcius (23 degrees Fahrenheit) so his 500-600 ton stock of ice blocks stay frozen solid. 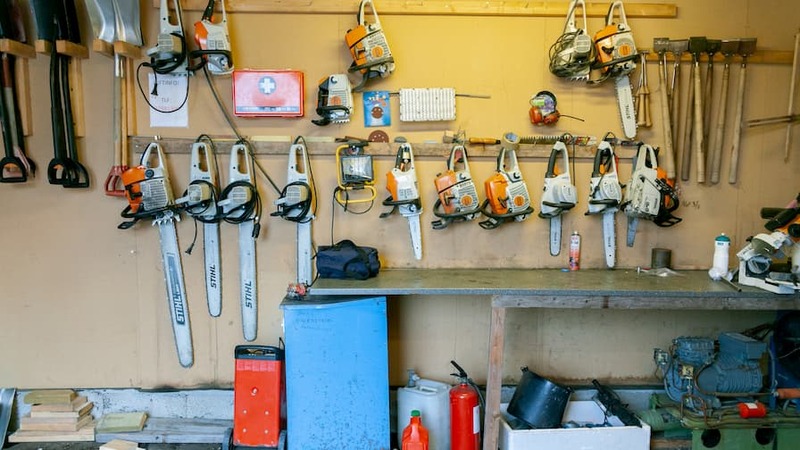 Equipped with a Wood-Mizer LT15 sawmill, a Kuka CNC robot, tractor, forklift and a plethora of chainsaws, Thomas has assembled all the tools he needs to build anything his clients can imagine from ice. 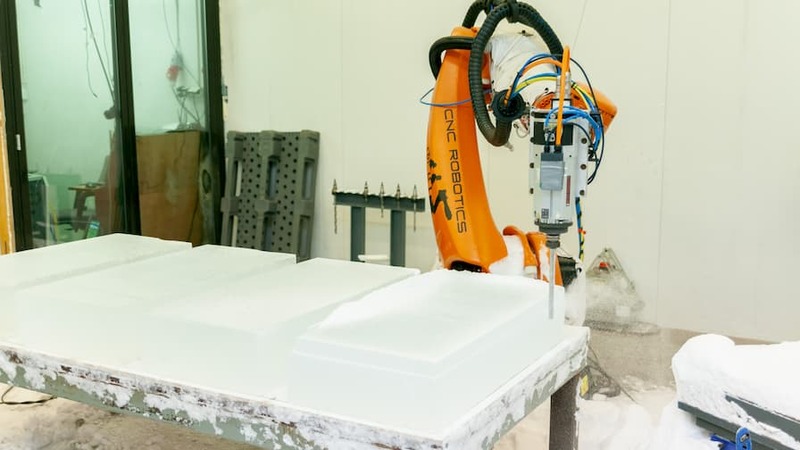 And his clients truly come up with some unique requests. 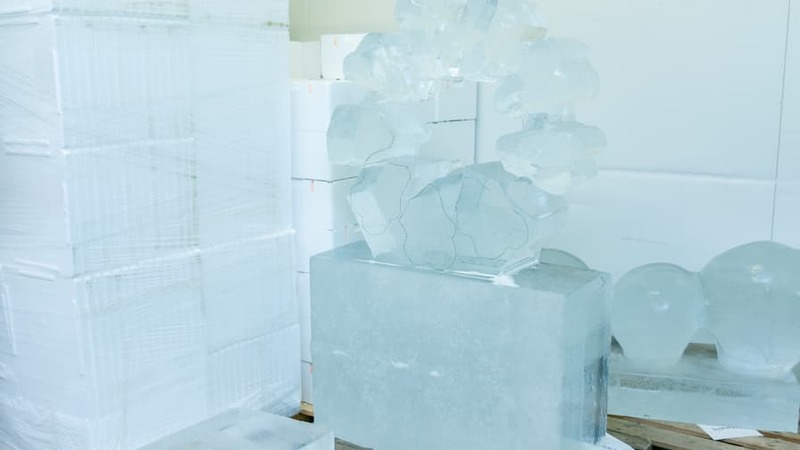 Thomas regularly builds ice hotels, manufactures ice objects for corporate events, and creates large ice sculptures for ceremonies and even for movies. 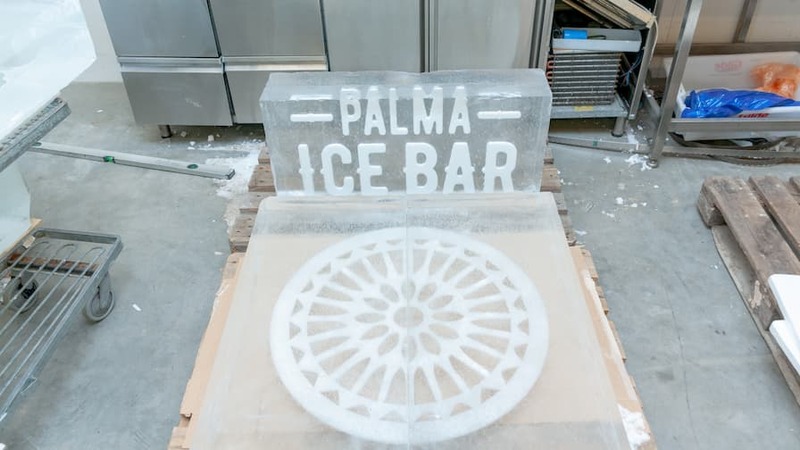 He has produced sculptures of cars, company logos, usable beer mugs from ice. 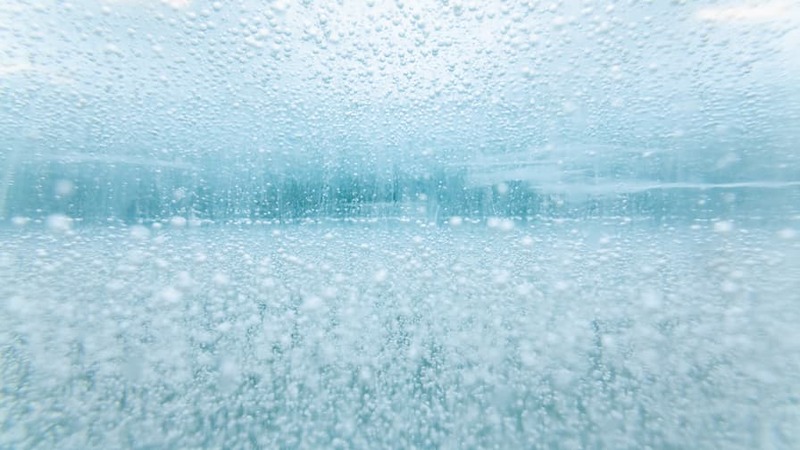 Once he transformed his workshop into a winter wonderland for a Japanese fashion company that was shooting a TV commercial for winter apparel. 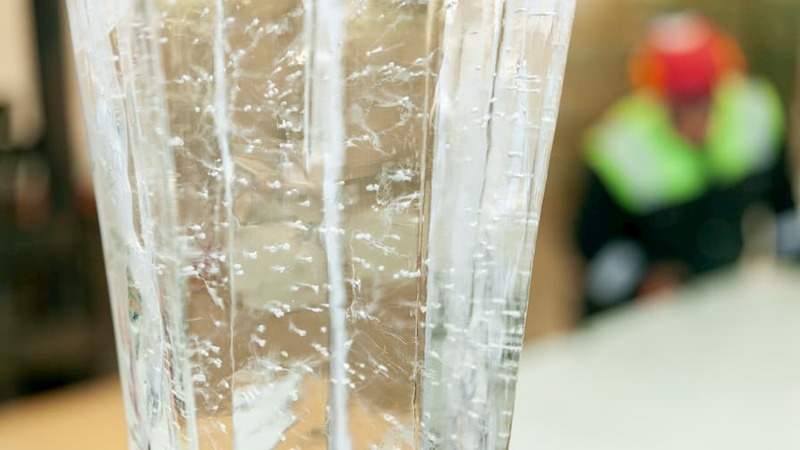 And even Hollywood needs ice. 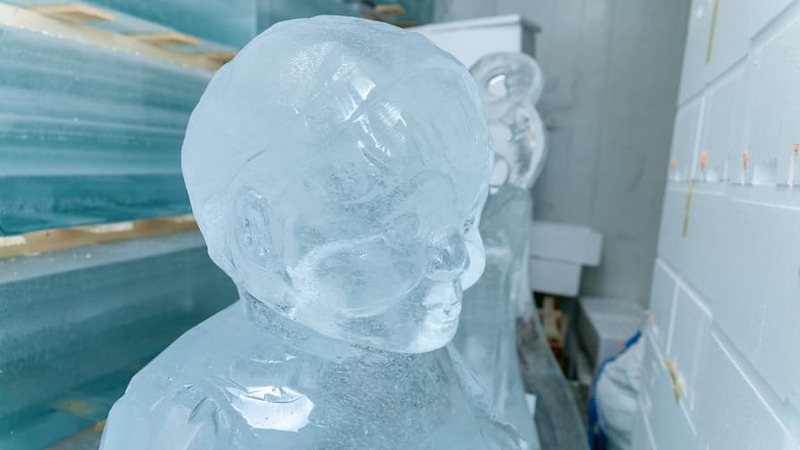 Thomas produced all the snowmen and an ice sculpture for the movie The Snowman that starred Michael Fassbender, which was filmed in Norway and released in 2017. 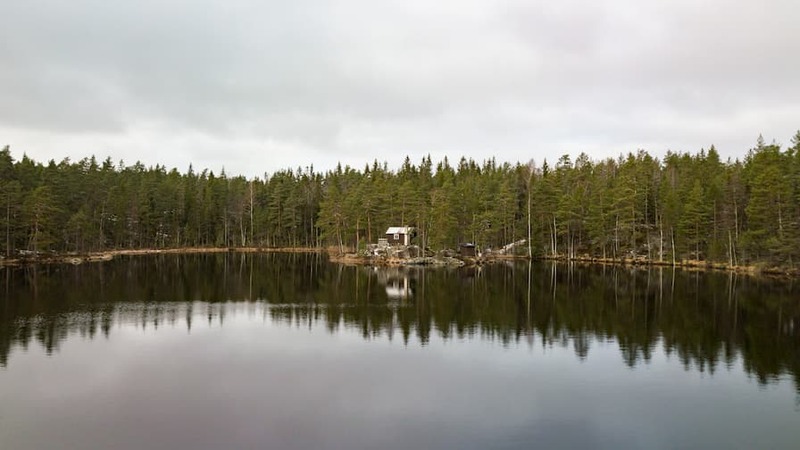 During a normal winter, Thomas harvests all his ice from a nearby lake, having all the needed permits from the local government to do so. 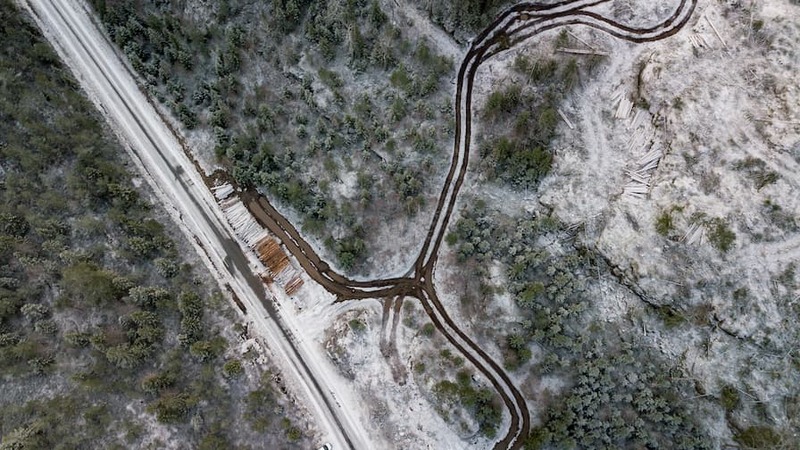 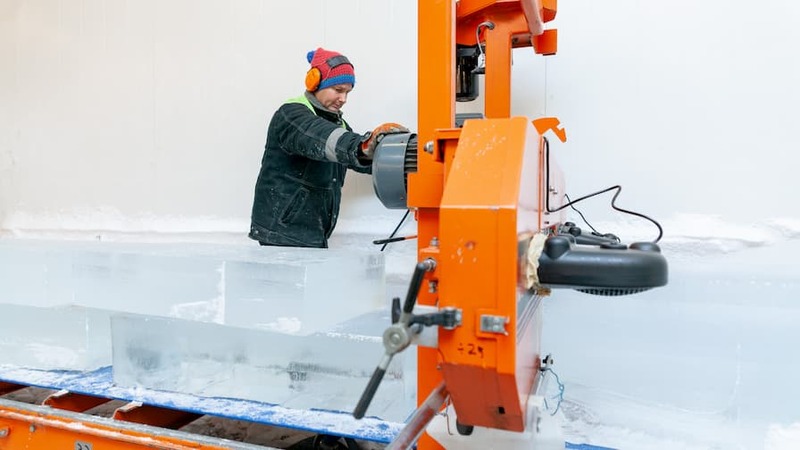 He harvests the ice with a tractor-mounted saw and chainsaws. 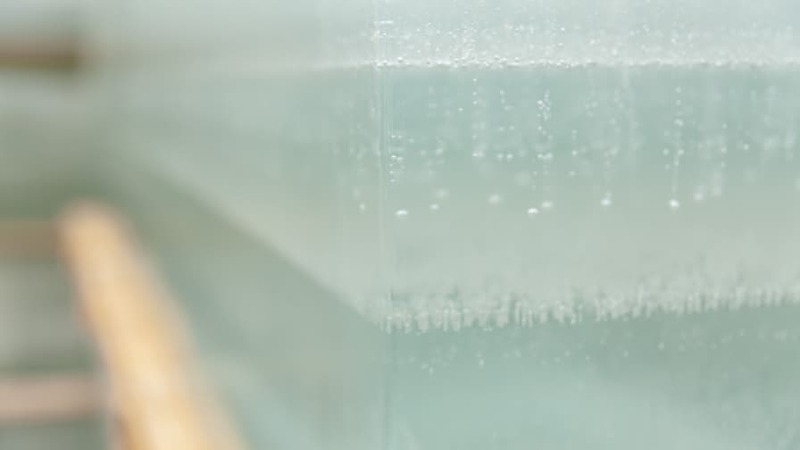 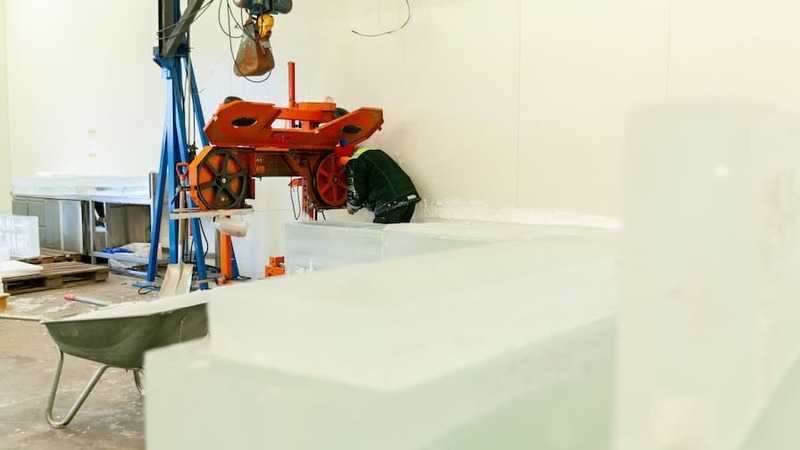 Each block of ice is 1 meter wide and 2 meters long. 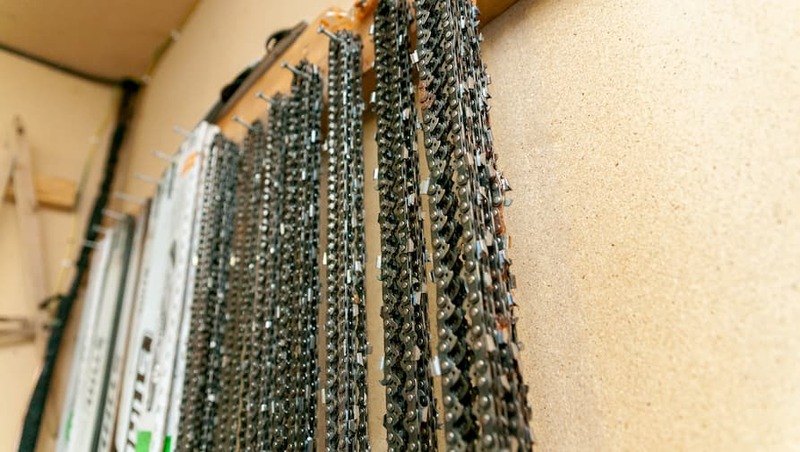 These blocks are stored by the hundreds in his refrigerated workshop, until they are used in a project. 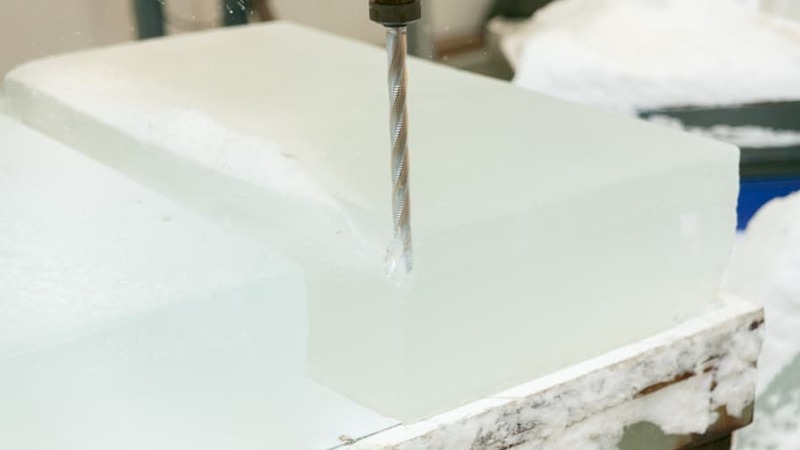 Once Thomas and a client have planned out a project, Thomas first cuts his ice blocks to the approximate size needed on his Wood-Mizer LT15 sawmill, which he has modified specifically for ice cutting. 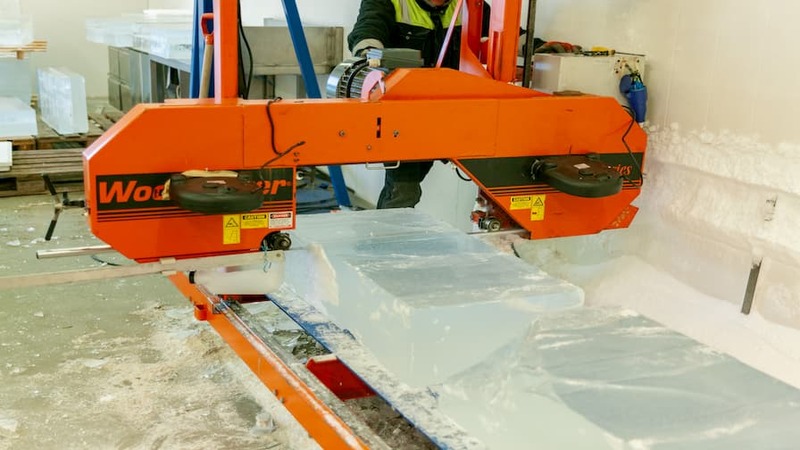 The sawmill bed has a plate added to the rails to make it easy to slide the ice blocks on and off. 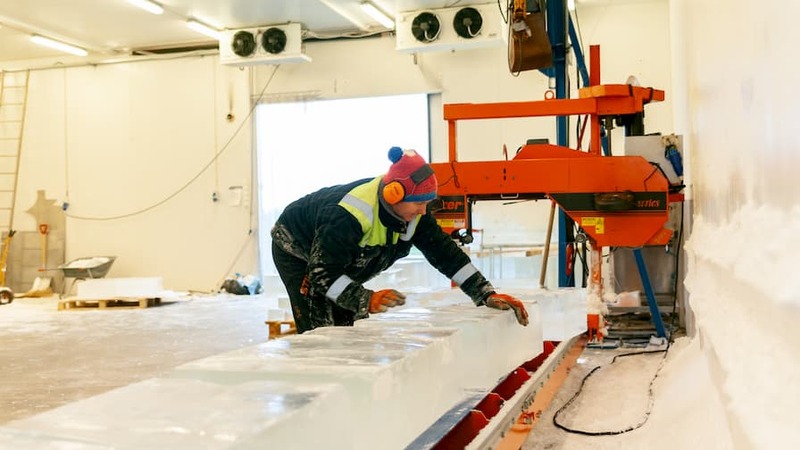 Since the workshop is always kept at -5 degrees Celcius (23 degrees Fahrenheit), the blades and belts need to be kept above freezing to avoid ice buildup, so Thomas added two small heaters to the sawhead. 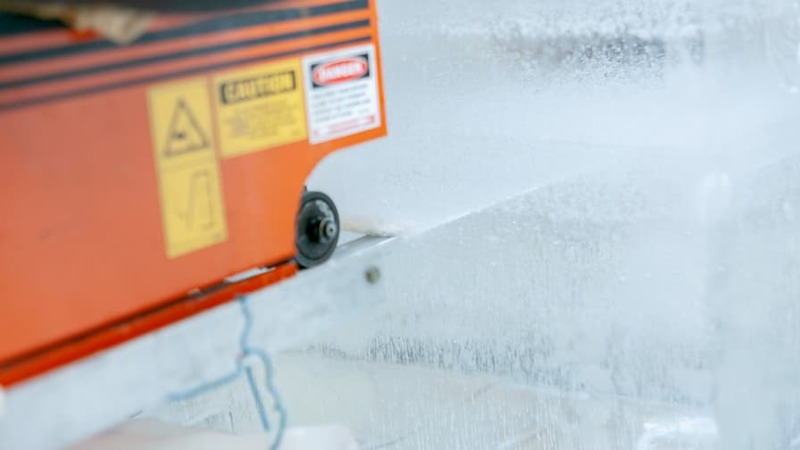 According to Thomas, ice is not complicated to cut. 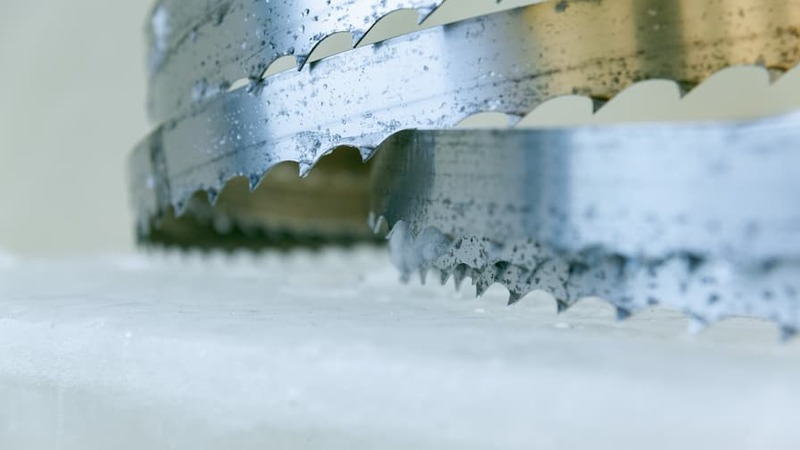 “As long as the blade is sharp, the Wood-Mizer is good for cutting ice.” In a full day of cutting, Thomas changes the blade 2 times a day. 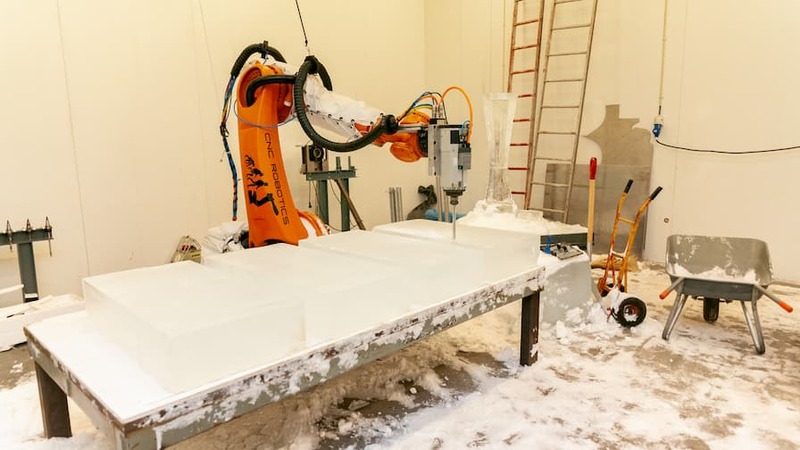 After the sawmill, the ice blocks are then shaped with Thomas’ Kuka robotic CNC robot, which he can use to scan any object and make a 100% copy in ice.